Registrations for Press, Bloggers Accreditations and Photo pass of the 19th AXDW are NOW open! AXDW, will hold its 19th event from 8-11 of April 2016, presenting collections of Greek and International designers and fashion brands, for the season Fall/Winter 2016-2017. 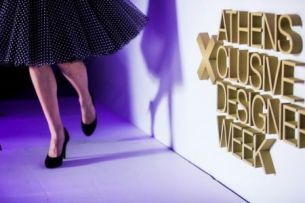 Athens Xclusive Designers Week: One more new designer emerges through the competition of Fashion Design Project of the Fashion Week of Athens. Apply now to participate in 19th AXDW contest of New Designers Awards. We have a winner! 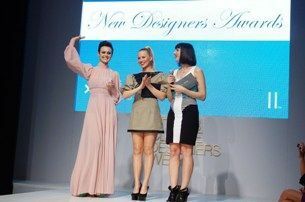 Congratulations to Valia Kastrouni, the winner of the contest Fashion Design Project of 18th Athens Xclusive Designers Week. 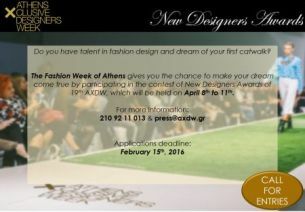 The open voting for the next big winner of the sketch contest of the Fashion Week of Athens, has started! 31 applicants are waiting for your opinion about the sketch they created during 18th AXDW. Fashion, new talents, and stylish international guests at the spotlight of the 18th AXDW. 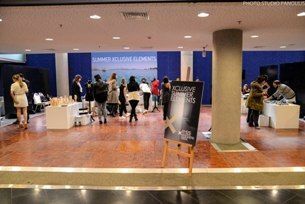 41 designers and fashion brands from Greece and abroad presented the new fashion trends. Xclusive Elements: New trends in fashion accessories on the forefront of Athens Fashion Week. Discover the designers collections presented on the catwalk of Athens Fashion Week. 18th AXDW announces designers line up. The new fashion trends signed by 41 fashion designers and brands from Greece and abroad. 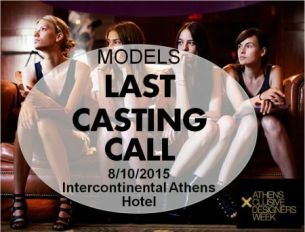 Grab your photo book & get ready for AXDW casting, on Thursday, October 8th, at Intercontinental Athens Hotel, at 18:00. 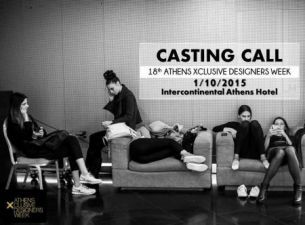 Grab your photo book & get ready for AXDW casting, on Thursday, October 1st, at Intercontinental Athens Hotel, at 18:00. 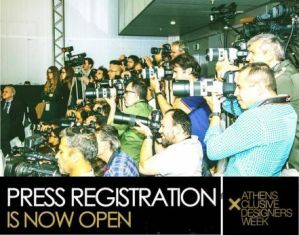 18th AXDW brings DFO, the biggest Fashion Showroom in Asia, to Greece! In the context of 18th AXDW (23-26 October 2015), DFO will explore the possibility of cooperation with Greek fashion designers. AXDW ensures the Greek representation in Bulgarian Fashion Awards 2015! Fashion designer Lila Nova represents Greece among 27 nominees from all over Europe!